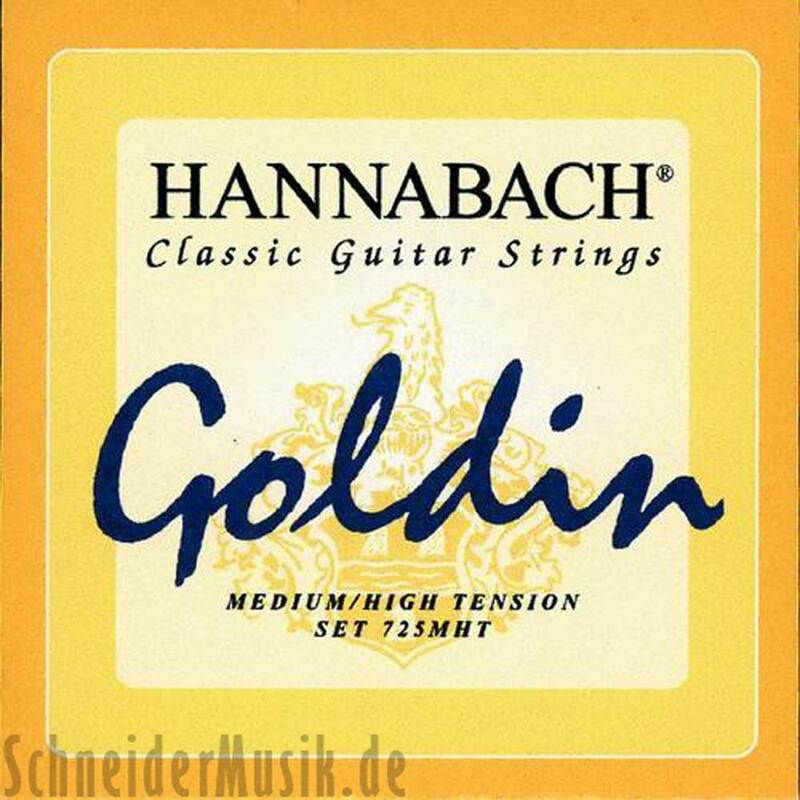 Series 725 Goldin -Premium strings for classical guitar. The trebles are made of golden yellow SUPER CARBON. They sound softer and warmer than conventional carbon strings. The bass strings are characterised by a novel, high-density and highly resistant plastic soul. Winding wires are made of GOLDIN, a newly developed golden yellow metal alloy (100% nickel and cadmium-free). Basses sound clearly and brilliantly. You can combine Super Carbon trebles with any set of HANNABACH bass strings.